Evgeny Sholpo, 1932. 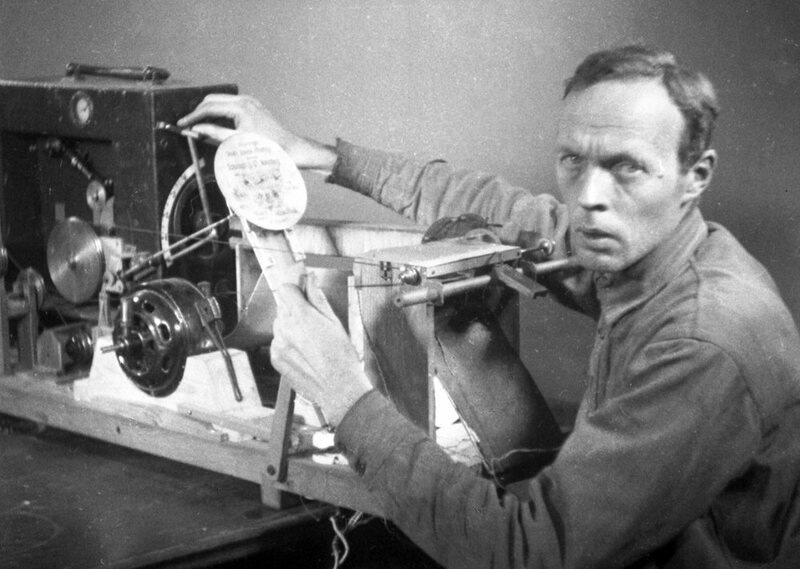 His Variophone was a kind of optical computer for sound. 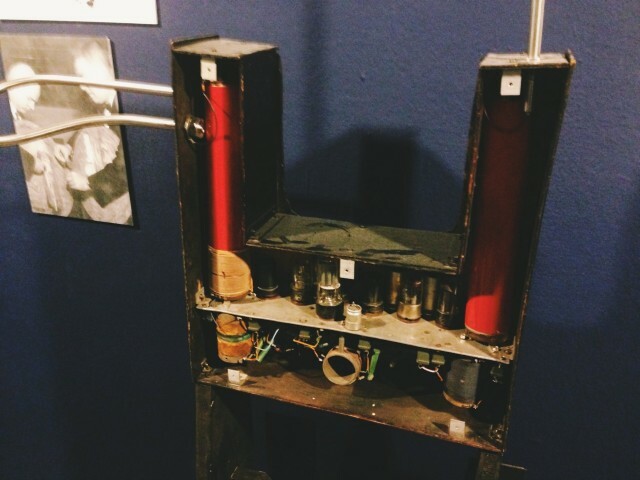 When music was first electrified, it was nothing short of a revolution – literally. And as today’s technologies again attempt to fuse human and machine, there’s no better time to connect with past visions again. “Discontinuity” is the theme of the this year’s CTM Festival in Berlin. But it sets the stage for an unprecedented movement to put today’s machines back in context, across the barriers of time, and – increasingly, in a closer European/west Asian union – geography. The boundaries between today’s latest inventions and the very first electronic instruments, the divide between East and West, Communist and Capitalist, are being lifted. And that produces a special moment for a new generation of music technologists, one in which the craft and creativity behind electronic instrument construction is better rooted in history and thus future possibility. Starting Monday, CDM is hosting the MusicMakers Hacklab for the second time at CTM, this time on the theme of DIY Utopia. We’ll be joined by Russian music technology historian Andrey Smirnov, who is not only curating an exhibition of early treasures of the avant-garde, but will lead us in building Theremin circuits into new instrumental concoctions. 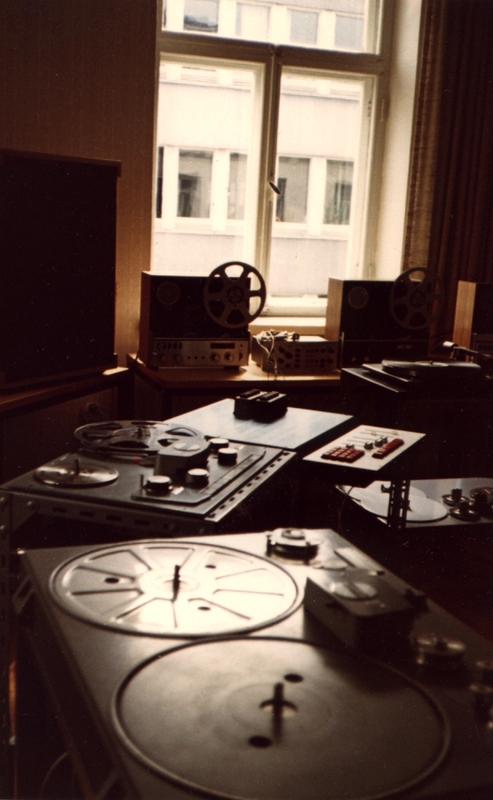 And what’s special about this year’s CTM is its expansive look across the reach of electronic history. That history is presented in its original forms and re-imaginings, exhibitions and workshops and new works. You can take a glimpse into that world here. 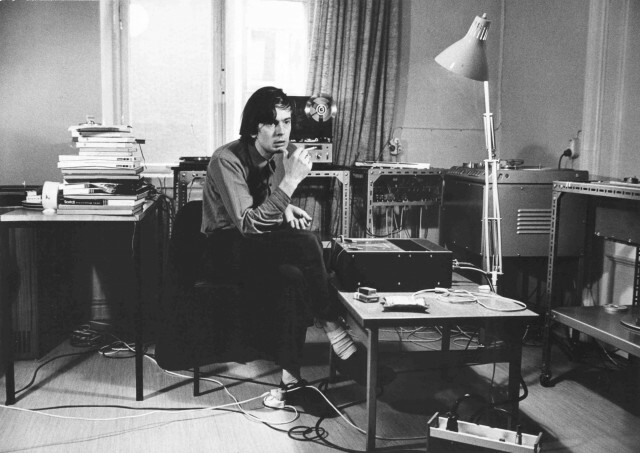 Andrey Smirnov takes us back to the revolution with “Sound in Z” – examining a lost generation of utopian electronic thinkers far ahead of their time, whose work takes on new relevance today. That has become ongoing life work, in collecting and archiving, teaching and writing, a book and a traveling exhibition. 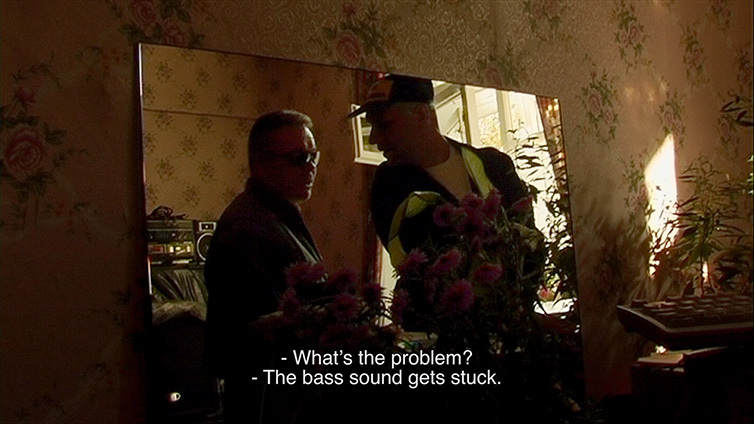 Andrey Smirnov’s Sound In Z from The Wire Magazine on Vimeo. 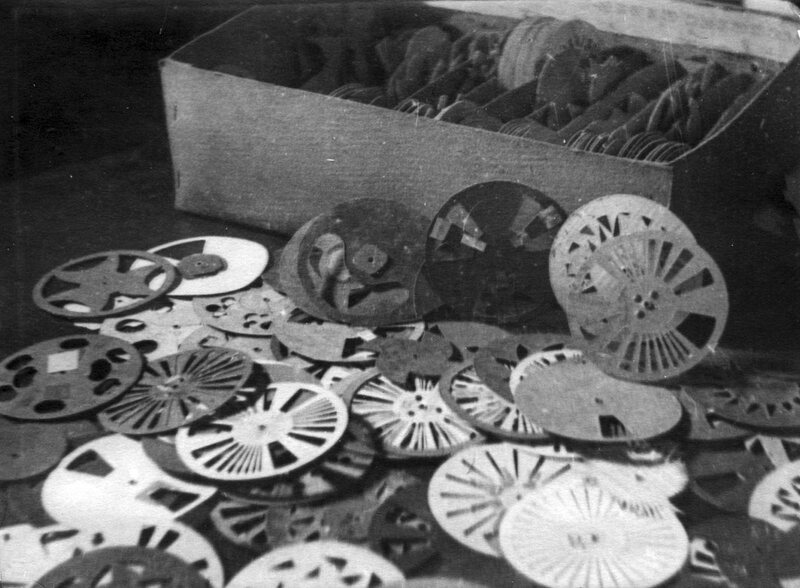 Yankovsky’s tracks for optical sound synthesis look like beautiful textiles – partly because they were influenced by those designs. From CTM’s Sounds in Z exhibition. A pile of Variophone sounds. Diagram of the Variophone, an elaborate mechanical sequencer for optical materials. 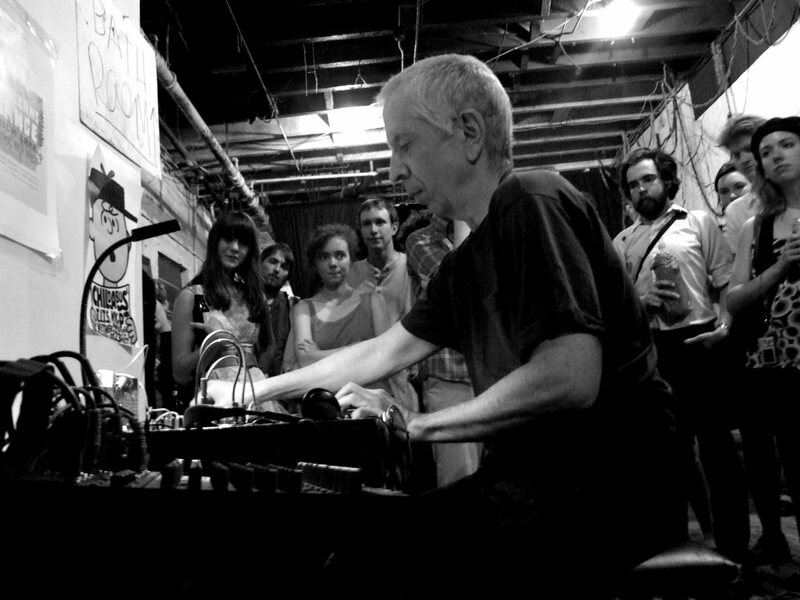 Andrey Smirnov talks about early 20th century Russian avant garde experiments in electronic music and sound making, and how he came to inherit a vast and as yet mostly unresearched archive of work by inventors and artists whose work was cut short by Stalin’s totalitarian regime, and nearly forgotten. 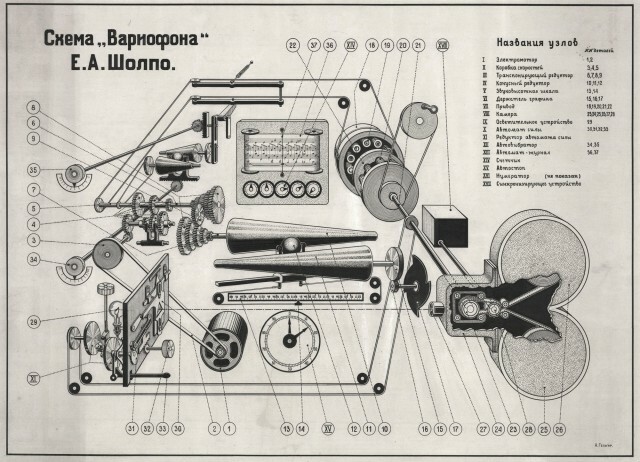 Smirnov’s book Sound In Z: Experiments In Sound And Electronic Music In Early 20th Century Russia is published by Koenig Books and Sound & Music and is available in The Wire bookshop. The first iteration of Sound In Z was as a 2008 exhibition (co-curated with Matt Price, who also edited the book) at Paris’ Palais de Tokyo. It was part of a larger show called From One Revolution To Another by the artist Jeremy Deller. Interview and video by Nathan Budzinski. What’s astonishing about the images in the exhibition is the number of prescient ideas. Theremin and others connected to gesture, augmented the body, in ways that now seem about to see new levels of innovation. What’s equally sobering is the political climate that then stifled those same imaginations. 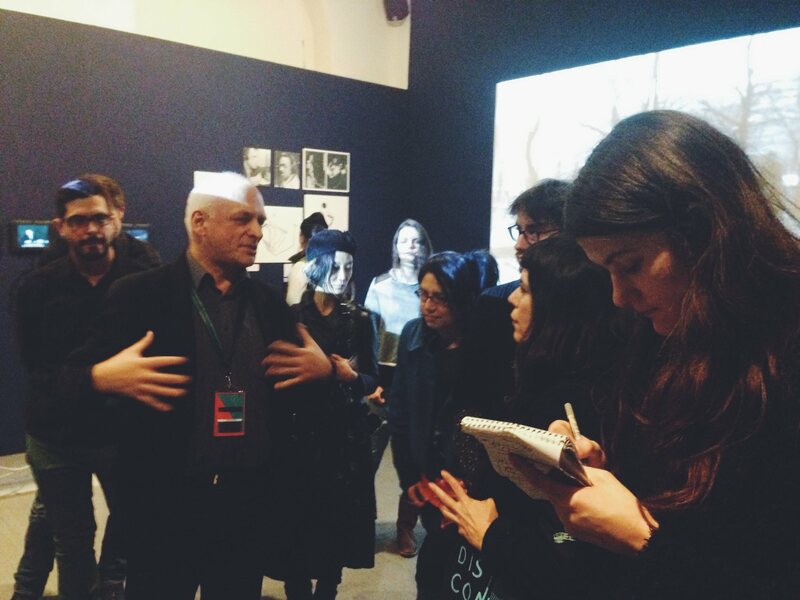 Andrey Smirnov takes visitors on a tour of his exhibition in Moscow. 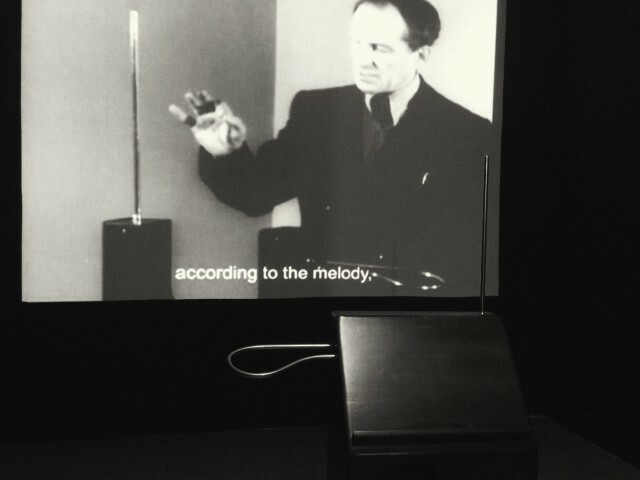 Leon Theremin, and a modern recreation of his invention. Curator Andrey Smirnov with participants of our hacklab at CTM Festival, earlier today. 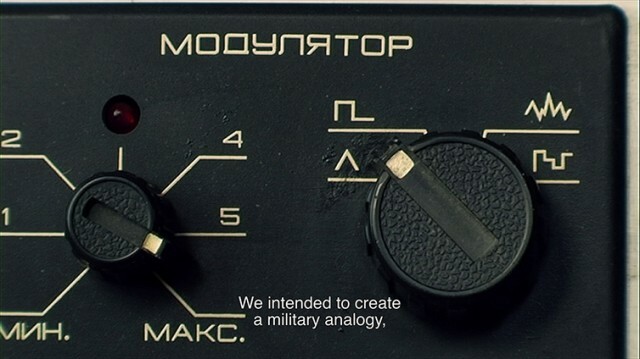 After Stalin successfully ended the golden age of radical experimentation, Russian artists were forced to scrounge for parts to try to equal the sounds they heard coming from the likes of Bob Moog. But in that era of scarcity, their ingenuity is striking. 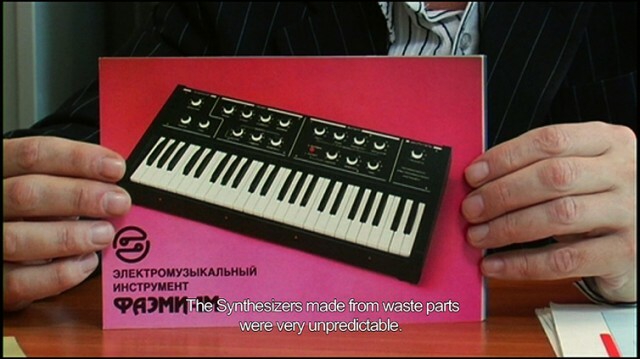 Electro Moscow – an Electro Fairytale, paints the picture of that universe in a new documentary (featuring Smirnov in interviews). See the witty trailer at top. Filmmakers Elena Tikhonova and Dominik Spritzendorfer told the Sheffield Doc/Fest about their work over the summer, below. 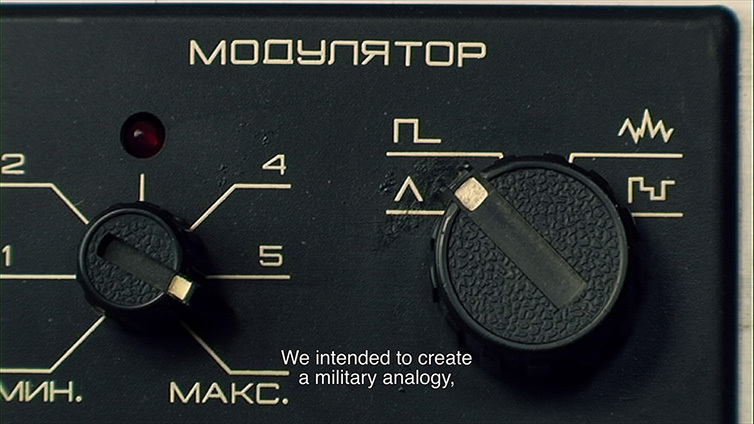 But this isn’t just about Russia – it’s about removing any walls or Iron Curtains between place and time, bringing the family of electronic music practitioners closer. Then there’s Erkki Kurenniemi. 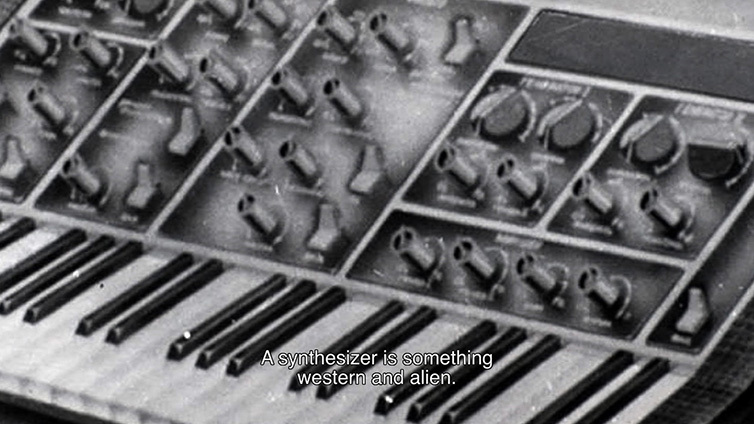 While hardly a household name, this pioneer from Finland might just deserve the honor of creating the first truly real-time digital synthesizer – apologies to Jon Appleton, Peter Vogel, and the like. Erkki Kurenniemi, in his university studio, circa 1971. And don’t forget GRM – Groupe des recherches musicales, whose Editions Mego sublabel is enjoying a resurgent level of interest. Have a look inside the beautiful GRM studios. 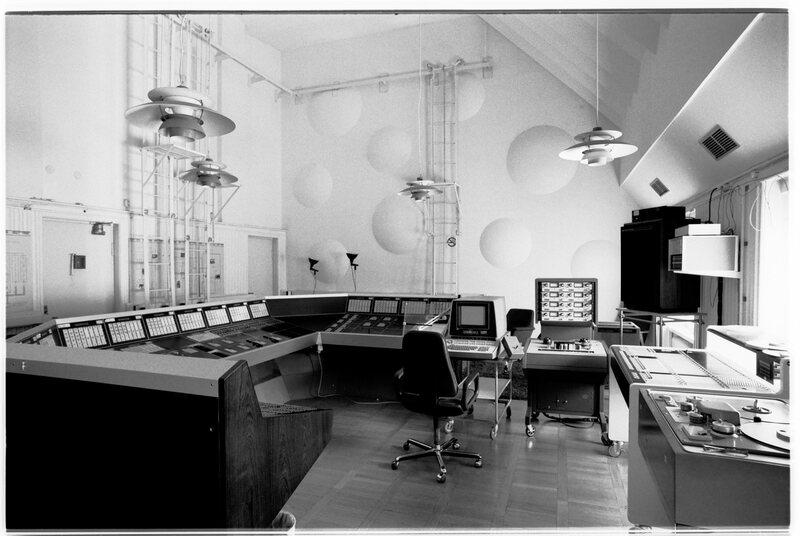 Or in Sweden, Stockholm’s Elektronmusikstudion (EMS) celebrates a 50th anniversary. While the Soviet Union gave up much of their early experimental leadership, from an institutional perspective, the West filled that place. 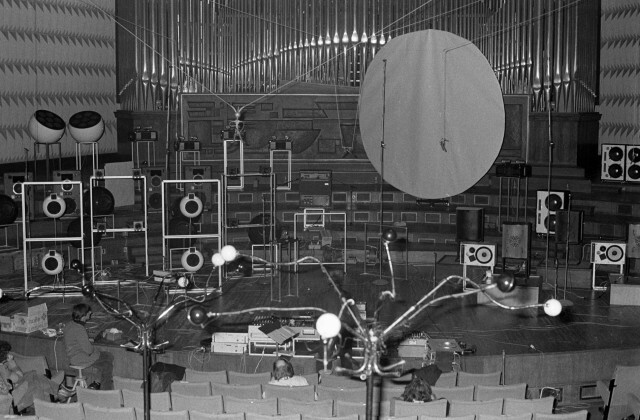 Groupe des recherches musicales (GRM) – Acousmonium 1980. Credit: Laszlo Ruska, INA. 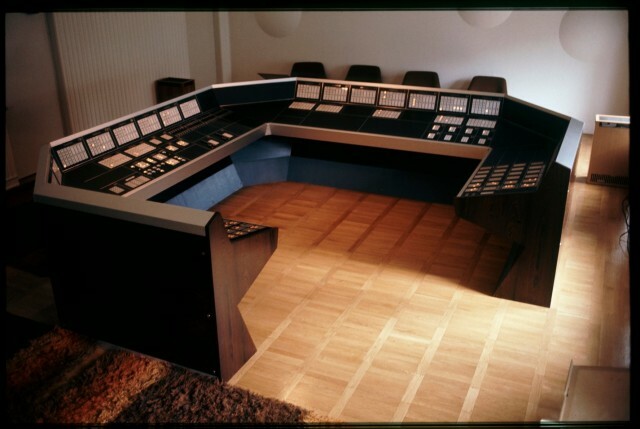 EMS’ sleek studio, seen in 1980. EMS, 1968, making the Starship Enterprise look sort of old-fashioned. But the best episode may be yet to come, rewiring the early pioneering work of the former Soviet Union to later academic Western developments to a new, international, radical generation. 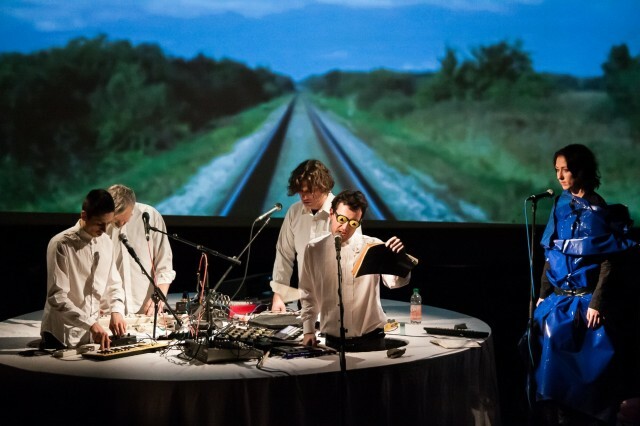 CTM Festival, for its part, hosts retrospectives from Belgium, the Netherlands, France and GRM, and Sweden and EMS, but also finds support from Embassies ranging from the United States and Canada to Romania and Latvia. As we speak, a group of international hackers tries a redesigned, modernized Theremin sensor circuit that can be added to any object and connected to audio, Arduino and microcontrollers, and the like. CTM Festival runs this week in Berlin and includes, on Sunday at 4pm, a performance of new instruments created during this week’s hacklab. we’ll have more of the fruits of this work to come as CDM covers the event. The next generation. Sound Exchange: The First Latvians on Mars.